A Food and Drug Administration recall of a heart medication due to a cancer-causing chemical now includes two blood pressure medications. Teva Pharmaceuticals has issued a voluntary recall of its amlodipine/valsartan combination tablets and amlodipine/valsartan/hydrochlorothiazide combination tablets, both used to treat high blood pressure, according to the FDA. The FDA announced the recall on its website Tuesday. The move is due to the detection of a probable human carcinogen known as NDEA, which has been found in valsartan API, the FDA said. 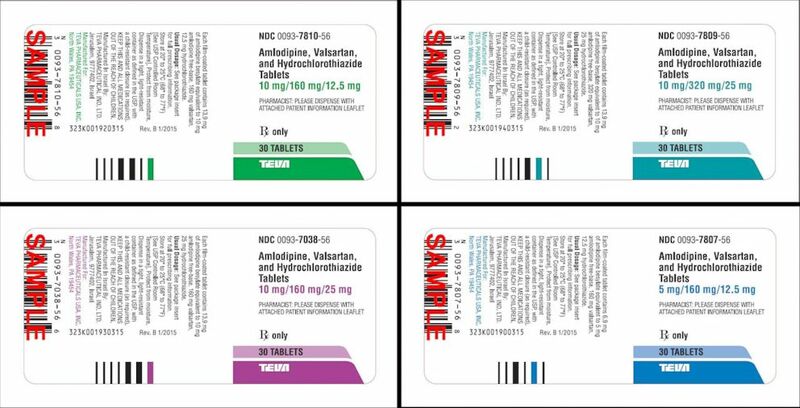 Teva Pharmaceuticals USA has issued a voluntary nationwide recall of "all lots of Amlodipine / Valsartan combination tablets and Amlodipine / Valsartan / Hydrochlorothiazide combination tablets." Valsartan API is an active pharmaceutical ingredient made by Mylan India, according to the FDA. “This chemical is typically found in very small amounts in certain foods, drinking water, air pollution, and certain industrial processes,” the FDA said in a news release. The FDA said Teva has so far not received any reports of adverse events "signaling a potential link or exposure" to valsartan. Patients who take either tablets were advised to continue their medication and to reach out to their pharmacist or doctor for further information on an alternative treatment. “The risk of harm to a patient’s health may be higher if the treatment is stopped immediately without any comparable alternative treatment,” the FDA said. When reached for comment, a Teva spokesperson pointed ABC News to the FDA announcement and that of Mylan on Nov. 20. Patients can also see a list of recalled medications, as well as a list of valsartan-containing products that have not been recalled, on the FDA's website.